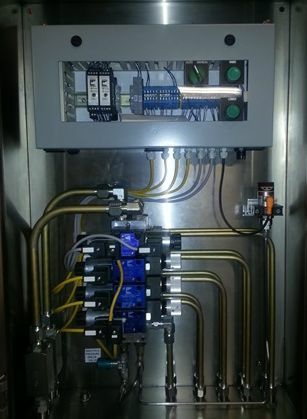 This hydraulic control system is in a stainless steel enclosure, which makes it a great fit for food processing. 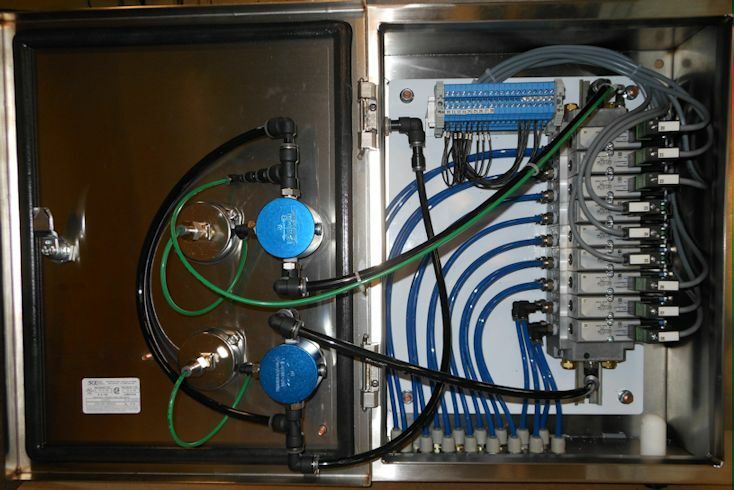 This control unit will be used in a cheese plant for cheese packaging. 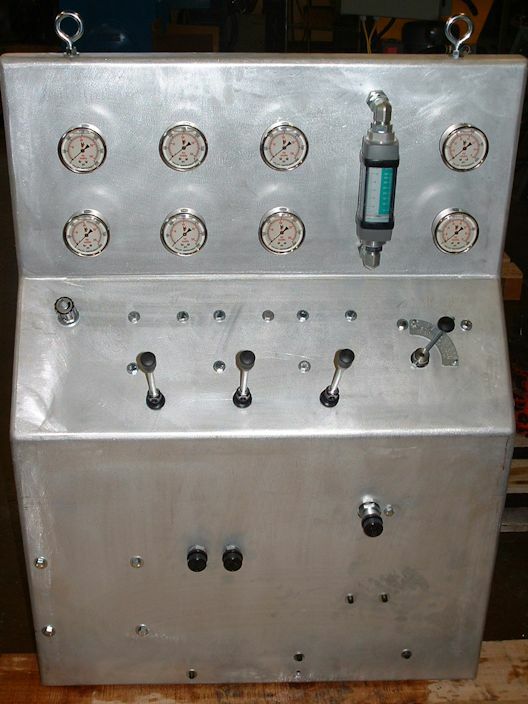 This hydraulic and electric control panel was custom built for the customer specific needs. It is used on a machine that assembles shipping containers by punching and riveting the material. 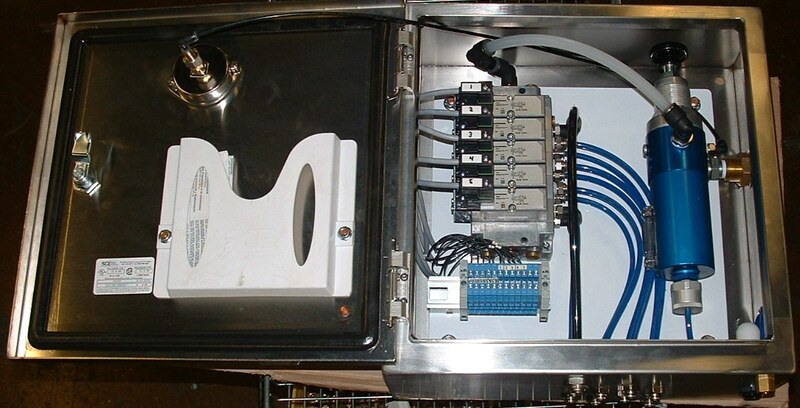 The pneumatic controlled panel unit incorporates air valves for control of multiple cylinders in a meat processing plant. 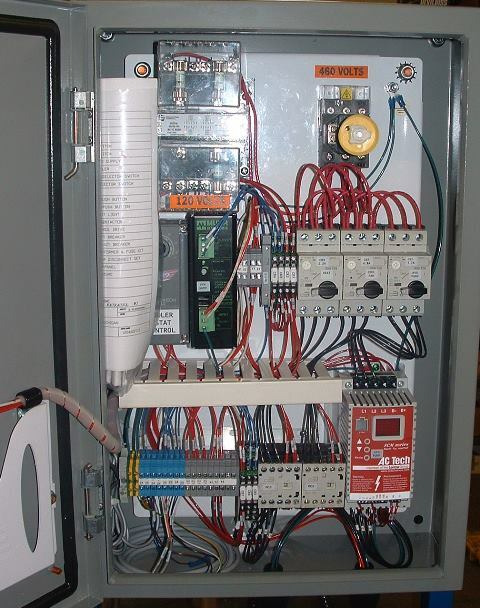 This custom built pneumatic control system is used in a paper mill for control of paper machine winders. This motion control system is electrically controlled. 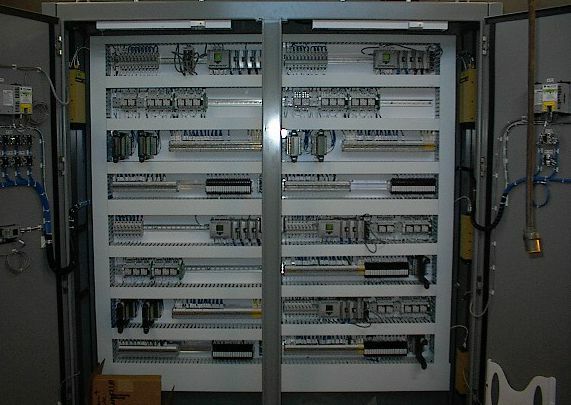 This electronic enclosure was built for the control of multiple machines in a cheese processing plant out in California. As you can see in the photo on the right, the enclosure has multiple controls. The control panel was built to be used in food processing. 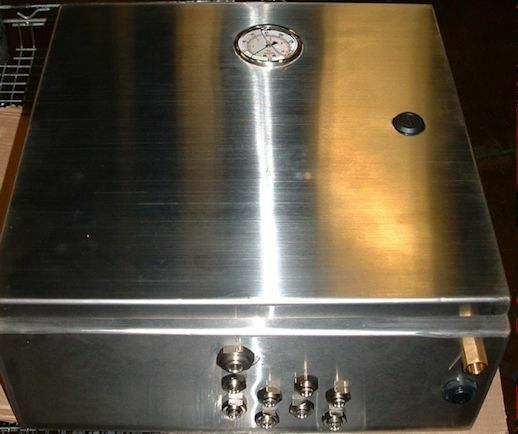 The enclosure is made from NEMA 4x stainless steel. 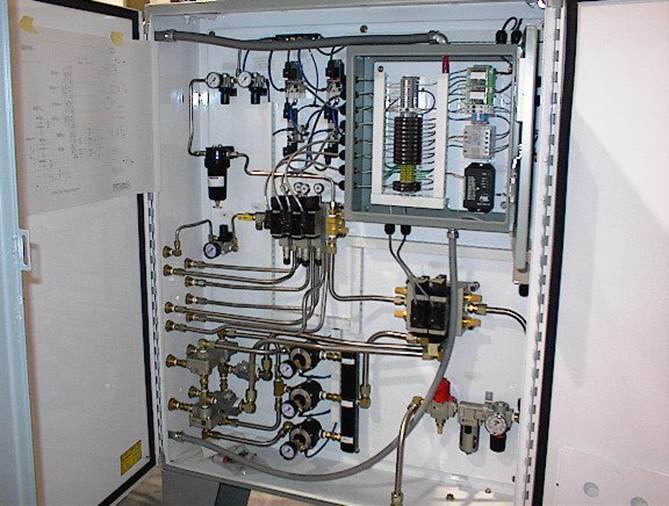 The components inside include a Monnier C01-1300 filter/regulator combination with a pulse drain, Murr lighted, pre-mold valve connectors, and Norgren mini ISO valves. 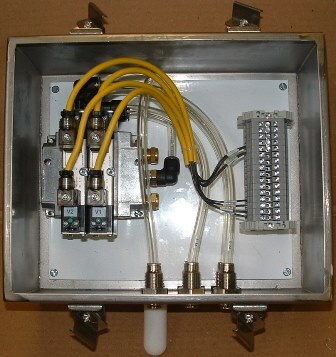 This pneumatic valve panel includes two 105 series regulators by Monnier. This unit is a heating / filter unit with controls. The customer’s needs were clean oil and oil at a certain temperature. The control panel has a variable speed drive. The control panel also incorporates system intergration, which allows the box to signal the system. The lubrication is for hydro bearing. 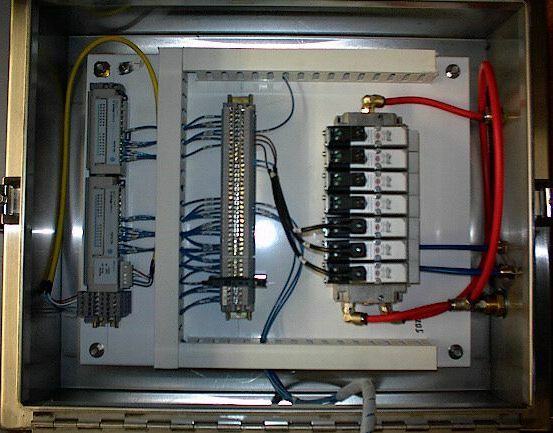 This compact control unit is pneumatically controlled. It has a stainless steel enclosure and will be used in a food processing plant. 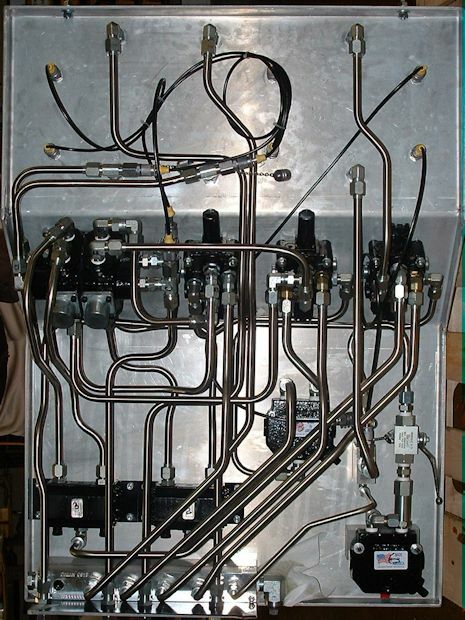 This is one of two valve panels built to control a K.R. West custom unit. 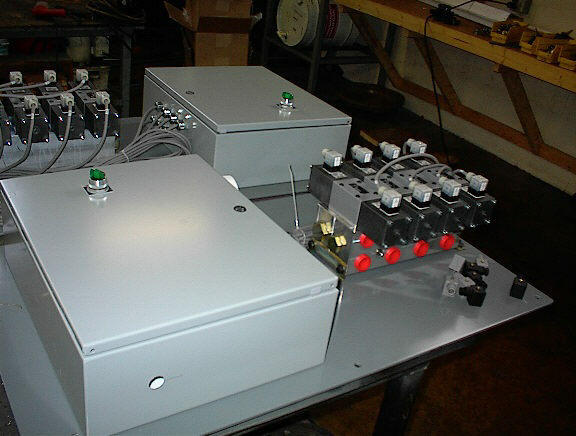 These two power units were built for large diameter pipe seem tester drive systems, which is self-propelled. A pair was built to fit the customer’s needs.